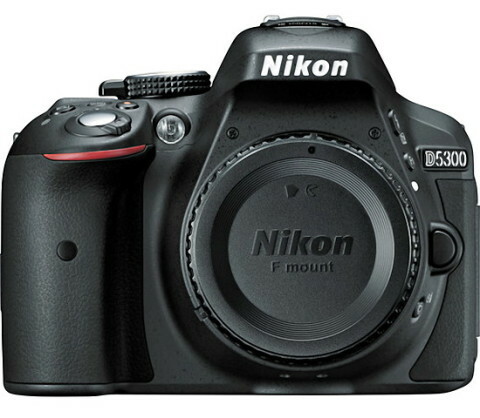 The Nikon D5300 is an update to the Nikon D5200. 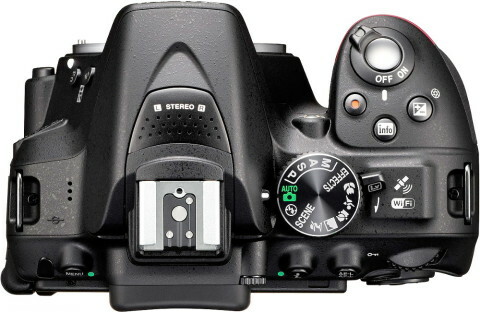 This entry-level DSLR camera comes with a DX-format 24.2 megapixel sensor with no optical low-pass filter and with the EXPEED4 image processor, that work together to produce high-resolution still imagery with notable color accuracy and details. The omission of the optical low-pass filter allow to gain the utmost sharpness and resolution. 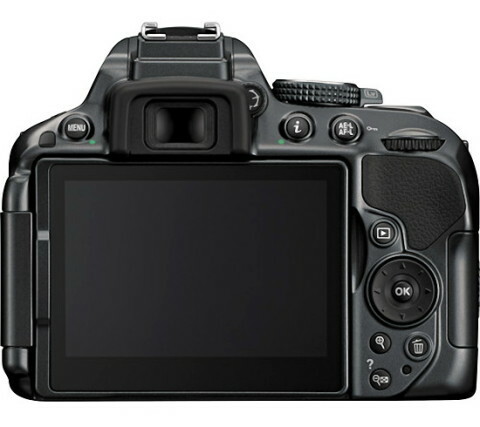 The sensor and image processor also allow D5300 to obtain a notable low-light sensitivity to ISO 12800 and to record full HD 1920x1080p movies at 60, 30, 25 or 24 fps frame rates in the MPEG-4 AVC/H.264 format. The Nikon D5300 benefits from a versatile AF autofocus system with a 39 distinct AF points and nine cross-type sensors, to quickly acquire focus in a range of lighting conditions. The Dynamic-area AF mode is present on this camera and allows to choose from 9, 21 or 39-point arrays. 3D-tracking, Auto-area AF and Single-point AF modes are also available on the Nikon D5300. 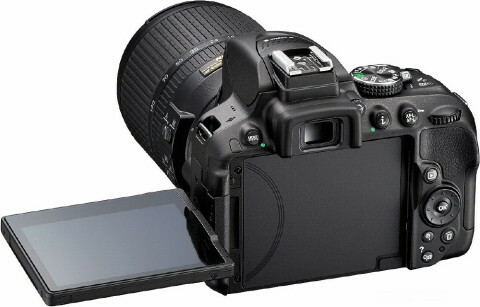 Among other feathures, the D5300 adds to its predecessor integrated Wi-Fi and GPS modules to enable geotagging functionality and continuous transferring of imagery to an Android or iOS device, via Nikon Wireless Mobile Utility app. The Nikon D5300 has a compact and durable body, that integrates a 3.2″ 1037k-dot vari-angle LCD monitor and a built-in pop-up flash, which supports Nikon’s i-TTL flash metering system. 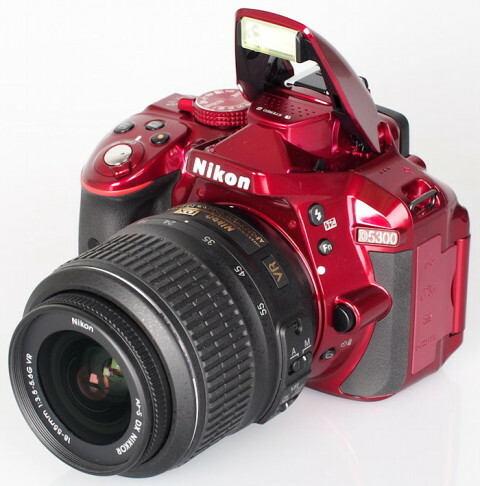 The Nikon D5300 is available in three colours: black, grey and red. The general level of D5300’s performance is impressive. The focus system offers a good range of coverage across the frame with impressive focusing speeds. More details you can find on Nikon D5300 review from trustedreviews.com website. The combination of a free-angle screen, great video mode, high-quality stills and new connectivity options mean that the Nikon D5300 is a worthy winner of our Highly Recommended award. 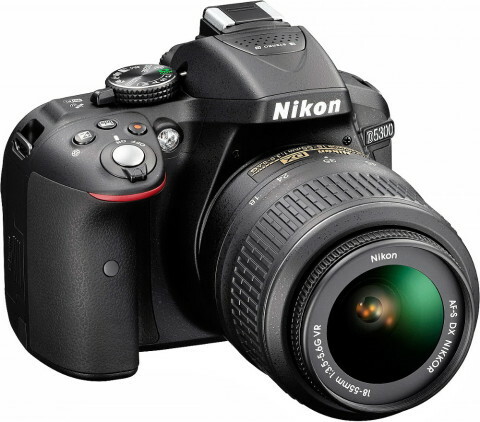 The Nikon D5300 is a solid and well-constructed camera that offers an ample array of connectors and an ergonomic design. More technical details you can read on dpreview.com website. The Nikon D5200 impressed us last time around, but Nikon have managed to go one-better with the D5300. While its new features don’t make it a groundbreaking release, they add up to make it a better specified product for the entry-level and advanced amateur photographers it’s out to target.